Brilliant and fascinating for the listener and performers, this third Sonatine has some stunning modulations, an assortment of march rhythms, wide-ranging arpeggios, and contrasting moods. The Elgart/Yates Music of the 20th Century CD includes Sonatine Nr. 3. 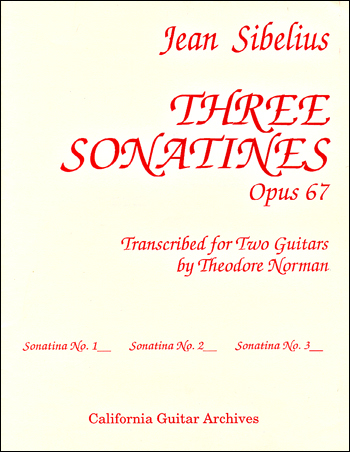 Transcribed for two guitars by Theodore Norman from Three Sonatines op. 67. Arranged for two guitars with the permission of Breitkopf & Härtel.